Take a look at Hoss. 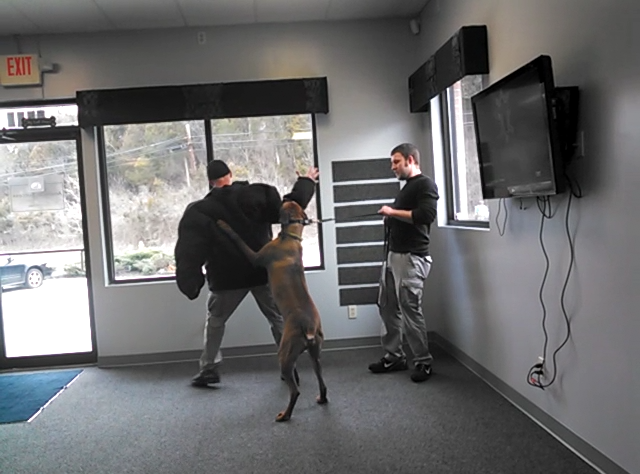 He is focusing on protection dog training at American Success Dog Training in Cincinnati. Stormy practices his protection training outside of the classroom. In this scenario, Mark is using loud and threatening words in order to alert Stormy that he needs to protect his owner.